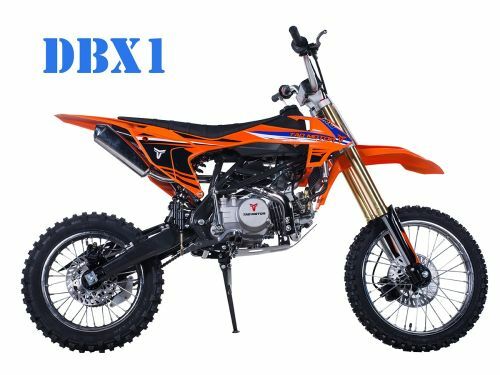 Powerfull 140cc, Kick Start, 4 Stroke with Maunal Transmission (1-N-2-3-4) Wheels Measure 17" Front, 14" Rear, Front/Rear Hydraulic Disc Brakes, Upgraded Exhaust, Hydraulic Inverted Front Fork. Steel Skid Plate, Chain Guard, High Strength Steel Frame, Steel (Straight Type) Swing Arm. Comparable to DB27 but with 140cc engine. Start Type Kick Start Seat Height 35"
The pictures provided on this website are only a representation of the actual ATV being sold. On occasion, the factory may without notice make changes to the ATV that are not represented in the pictures provided. Familyfunpowersports will make every attempt to keep all of its pictures, specifications, and color changes as up to date as possible. At no point will Familyfunpowersports be held liable for factory authorized changes in design, specification, or color variations. Having difficulty paying? Don’t want your Credit card on the WEB! We gladly accept all major Credit/Debit card payments over the phone. Call 732-991-2194 To speak with someone on our sales team. I would recomend this bike because it is the tallest of all the Pitbikes. Before this I had a SSR125, I liked that bike but at 6' 3" tall needed something a bit bigger. This one works much better for taller riders.